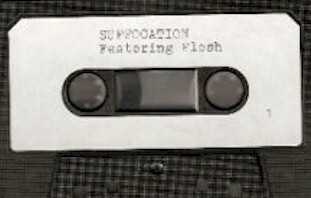 Suffocation came to life in spring 1987 by Stefan Hanus and Bastian Herzog. The band worked under the name Morgöth until the year 1990, when they changed their monicker to Suffocation and decided to become much more extreme concerning the musical direction. After their first demo tape "Festering Flesh" they were again forced to change their band name because of the upcoming US Suffocation and their first vinyl appearance. After having found a constant band name in Fleshcrawl (NO DEMOS) they released their first 7'' EP "Lost in a Grave" in 1991 on Morbid Records. One year later Fleshcrawl inked a record contract with Black Mark Production. 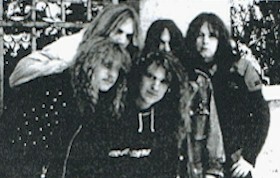 In June 1992 they recorded their debut album "Descend into the Absurd" at Montezuma Studio, Stockholm.